His facts turn out to be half-truths that fit the pattern of exploiting primal fears to create deep psychological spin. He says “we don’t know” but shows the opposite — associating every kind of bad weather, fire, and storm with man-made emissions even though data shows that these were worse in the past or are caused by other factors. In probably his lowest career point, rumours are spreading that not only did thriving polar bears cause the falling walrus episode rather than coal power stations, but his crew may have killed walruses by being there. Paul Homewood argues the team itself scared the walruses by flying drones near the walrus herd and spooking them. A Chinese media source has reported an interview with a retired architect and engineer who worked on Notre Dame over three decades. According to my translator he thought that the electrical system and surveillance in the building were too good to fail and he can’t understood how the oak planks burned to rapidly. A regulator steps up to demand more regulation of historic sites. Never waste a good disaster. Interview with subtitles. UPDATE. Owners of English homes offer oak trees to help. And just in case you were wondering, from the same source, the ups and downs of living in a castle. Several years ago my RMIT colleague Tim Fry and I had an Easter-themed op-ed in the Australian Financial Review. I have posted it before, but it is well worth revisiting. Easter commemorates the death and resurrection of Jesus Christ – Good Friday is the day of the crucifixion while Sunday commemorates the resurrection. All four gospels are in remarkable agreement. Jesus was executed on a Friday, the day before the Sabbath. The body was removed from the cross and buried before the Sabbath. Due to a prophesy that Jesus would rise after three days Matthew tells us an armed guard was placed around the tomb. On the first day of the next week, Sunday, Mary Magdalene discovered the empty tomb – Jesus had risen from the dead. This story forms the foundation of Christianity; Jesus was crucified, died and was buried and rose again on the third day. To the modern ear, however, there is an immediate problem: Friday through Sunday is, at most, two days, not three. A two thousand year old religion, however, is not going to be caught out on an arithmetic error. There is a simple solution: The ancients had difficulty with the number ‘zero’. The Hebrews had no such number and began counting from one – Friday was the first day, Saturday the second and Sunday the third. The idea of zero was a long time coming. In the sixth century scholars in India developed a place value system and the concept of zero. Independently, similar ideas had developed in China, Babylon and amongst the Maya. Islamic scholars adopted the Indian number system and the ideas of zero and place value spread rapidly through the Arab empire. Both the Moorish universities, and international trade, played a role in the spread of these ideas into Western society. It was not until 1202, and the book Liber Aberci by Fibonacci, that the ideas took off. Even then it was not without opposition – although mathematicians took to the ideas the Italian trading class were not so easily convinced. It is easy to poke fun at the ancients who had little understanding of a complex notion such as zero – are we any better? Most people have an understanding of zero as being ‘nothing’, an ‘empty set’ or as a ‘place holder’. Knowing the value of zero can be trivial, or quite important. For example, knowing the value of zero would have led everyone to understand the twenty-first century began in 2001, not 2000. The value of zero has even lead to tax disputes, and a High Court case in 2000. The Australian Tax Office had argued zero was not an amount and consequently there was no time limit in amending tax returns with a taxable income of zero. Although the taxpayer eventually lost her case, the Federal Court, the full bench on appeal, and the High Court all ruled that zero is a number. The legal costs to the taxpaying public would have been enormous, while the ATO gained $4,589. Here the value of zero was quite high. While zero may represent an empty set, it is not nothing. On TAFKAS’ regular morning two wheel chariot rides, he listens to many podcast. Many. This morning, and merry Easter to Cats, amongst the many podcasts, TAFKAS listened to an interview of Senator The Hon. Arthur Sinodinos by Patricia Karvelas. Feel free to listen for yourself here. It’s not that long. The whole interview made TAFKAS wonder from where does the Hon Senator’s supposed golden economic and public policy reputation come from? Ditto his supposed political judgement reputation. Yes. He was John Howard’s chief of staff for many years, but on the surface, that means that he is good at organising meetings, making sure the office supplies are ordered and making sure that advice gets to the boss. Yes. A very important organisational function, but not necessarily a leadership, policy or political function. Whilst he may be a very nice man, over the recent years, The Hon. Senator’s sub-optimal judgment has been displayed several times. Is this the best the Liberal Party can do to populated its coveted ochre leather chairs in Canberra? There is, of course, also this. 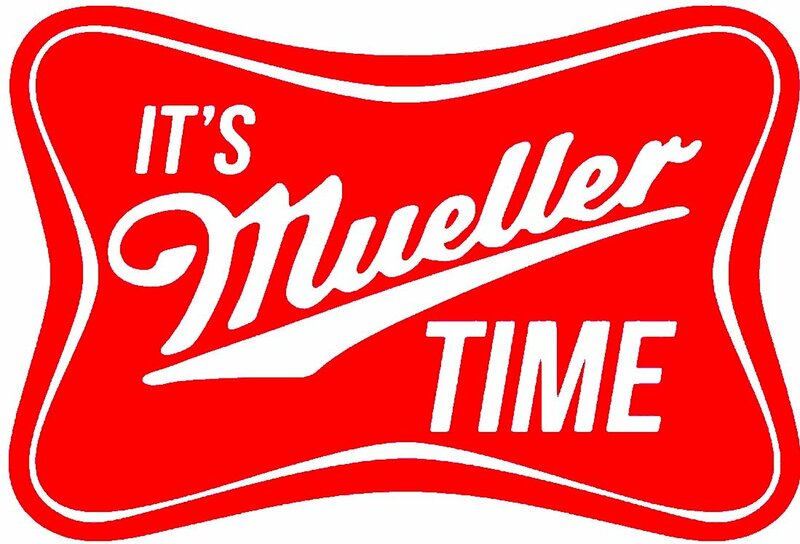 For a bit of Mueller balance, go here and here. If you want a good laugh have a read of the judgement in the case of Ridd v JCU. Before you do that realise that JCU management are unrepentant. We disagree with the Judge’s comments and are also troubled by the fact that he fails to refer to any legal precedent or case law in Australia to support his interpretation of our enterprise agreement, or academic freedom in Australian employment law. The judgement reflects views, which are not supported in any way by any case law or legal precedent The Judge has not attempted to do so in his judgement in preferring an interpretation of the enterprise agreement that disregards the Code of Conduct or confidentiality obligations which exist both separately in the enterprise agreement and also at law. I suspect that is code for “we’re gonna appeal”. But having read the judgement I suspect the judge feels that he didn’t really need to quote case law and the like. It boils down to applying section 50 of the Fair Work Act and interpreting the plain language of the JCU Enterprise Agreement. JCU argued that the clause in their EA that discussed Academic Freedom had to be read in accordance with their Code of Conduct. Long story short – if that was the case, according to the judge, the EBA would have said so. But it didn’t. To use the vernacular, the University has “played the man and not the ball”. Incredibly, the University has not understood the whole concept of intellectual freedom. In the search for truth, it is an unfortunate consequence that some people may feel denigrated, offended, hurt or upset. It may not always be possible to act collegiately when diametrically opposed views clash in the search for truth. Damning. “… the University has not understood the whole concept of intellectual freedom”. It is worse than that though – JCU management did not understand their own enterprise agreement. As the quotes below will show the judgement boils down to the judge saying “your EA says this, you did that”. The EA is made at the enterprise level and provides terms and conditions for the employees to whom it applies. The fact that there is a clause devoted to intellectual freedom in the EA is an illustration of how fundamental the concept is to employees of a university. It must be remembered that an Enterprise Agreement is a formal agreement that must be ratified by the FWC and cannot be changed unless the FWC gives its imprimatur. Therefore, it is the document that is the basis from which other JCU documents gain their power. The University submits that the right to exercise intellectual freedom provided by cl.14 is subject to the other terms of the EA, which must be read together with cl.14, as part of the context of the clause. This includes cl.13 (which talks of the Code of Conduct), cl.8 (which defines misconduct and serious misconduct) and cl.54 (which prescribes the steps to be taken by the University to address allegations of misconduct or serious misconduct). To do requires one to limit the concept of intellectual freedom and make it subservient to clauses that relate to behaviour. The wording of cl.14 does not show that there is any such limitation on its power or applicability. Whilst cl.14.1 speaks of the commitment of JCU to act in accordance with the Code of Conduct, it does not, in that clause, bind anyone other than the university itself with the Code of Conduct. The clause puts its own limitations on intellectual freedom. The clause speaks of a “responsibility to respect the rights of others”. As referred to earlier in these reasons, there is no right to harass, vilify, bully or intimidate those who disagree with the views espoused. The clause links the rights to intellectual freedom to the responsibilities of staff to support the University as a place of independent learning and thought where ideas may be put forward an opinion expressed freely. The clause speaks of what staff should do and what they must do. When the clause already has sufficient limitations on the right to intellectual freedom, it seems incongruous to then impose other limitations that have not been expressly identified. If the clause is truly meant to be subject to compliance with the Code of Conduct, such a limitation would have been spelt out in the clause itself. As noted earlier, the Code of Conduct is not part of the EA. Clause 13 of the EA simply notes the existence of a Code of Conduct. It also notes that the Code of Conduct can be changed after “consultation” with the joint consultative committee. It seems incongruous that a document that can be changed by JCU, admittedly after consultation (whatever that means), can override a clause in an EA which can only be changed by the Fair Work Commission. The points in paragraphs 256 and 258 seem to be pretty damning. It’s not clear to me what case law the judge needs to cite in making those points. The whole exercise seems almost trivial. But wait … there is more. What Professor Ridd did was point out anomalies in the methodology and conclusions made by Professor Hughes and others. He invited the journalist to ask questions of Professor Hughes and others so that debate could ensue and the public be able to discern the truth for themselves. It would seem to me that this is exactly what a university should be encouraging and, relevantly, why cl.14.3 actually exists. Although not strictly relevant to the case at hand, I do note that the interview in question came about because Professor Ridd wrote an essay that was collected in a book. That essay is one of the annexures to the affidavit of Professor Ridd. In that essay, Professor Ridd is quite critical of Professor Hughes for his claim that coral bleaching was a new phenomenon. Professor Ridd also talks of climate change and bleaching as the latest in a long list of spurious claims about the Reef. Upon reading this essay, one could objectively conclude that it is more “insulting” to Professor Hughes and the other scientists than anything that was said in the interview with Alan Jones. And yet, despite the fact that the University had clearly read the essay, there were no allegations that the writing of this essay was a breach of the Code of Conduct. Here the judge is having far too much fun. By virtue of this reply, the University were prohibiting Professor Ridd from talking to his wife about these matters. Whilst none of this makes any difference at all to my ultimate decision, the actions of the University in this respect are, quite frankly, appalling. They have had no regard for the anguish that Professor Ridd felt between 24 August 2017 and 19 September 2017. There has not even been an apology for what can only be seen as extremely callous behaviour. This is inexcusable. To be told by a judge that your behaviour is “appalling” and “inexcusable” should have given the JCU management a lot of discomfort, but no; as indicated above they are unrepentant. Again, whilst it is not part of the matters that I have to decide, it would seem that, rather than disciplining Professor Ridd, the better option would have been to provide evidence that would illustrate the errors in what he has said. If it had been shown that what Professor Ridd had been saying was demonstrably wrong, that would have been the greatest rebuke of all. Sad that a judge should be in the position of having to explain this to university administrators. I think this is judicial code for WTF? Whilst this finding is incredibly trifling, it is a finding that is properly made if the direction given in the final censure letter is a lawful direction. … One could be forgiven for thinking that the university was more concerned with the splinter in the eye of Professor Ridd whilst ignoring the plank in their own. You can just feel that the judge is getting angrier and angrier. There are many good reasons why there should be confidentiality in relation to disciplinary processes. As was submitted by the University, it can protect the personal information of third parties involved in disciplinary proceedings, such as complainants. It encourages disclosure during the disciplinary process knowing that there is confidentiality. Most of all, it ensures that an employer can complete their investigations without the risk of details been disclosed before the employer has been able to consider the evidence. But that is not how cl.54.1.5 has been written. It has been written for the protection of the staff member. It speaks of the obligations of JCU; it does not speak about the obligations of any other person. It speaks of the exceptions to confidentiality that would allow JCU to disclose the information gathered. If it were the case that a staff member had confidentiality obligations, the clause would have been written to reflect that, which reinforces the conclusion that cl.54.1.5 did not mandate confidentiality obligations on a staff member. All that sub- subclause said is that the confidentiality of all parties would be respected. There is nothing in that phraseology that infers that there are obligations regarding confidentiality. The only items deemed to remain confidential are all the information gathered and recorded, presumably in the misconduct process. Oh dear. Makes you wonder if JCU management ever knew what their own EA says. I suspect this judgement will have the HR departments of universities reading their Enterprise Agreements quite closely. The exact wording varies from document to document but the euphemisms are fairly standardised. The Fed still operates on the “professor standard,” enshrined with Bill Clinton’s nominations of pure academics. Their textbooks say strong economic growth, particularly strong wage growth, causes inflation, which Fed policy should temper. Both the Bush and Obama administrations perpetuated the professor standard, and both presided over income stagnation. I have a different perspective. The professor standard doesn’t work, and the Fed needs new voices to argue for an approach that does. The best way to achieve full employment, price stability, economic growth strong enough to solve our fiscal problems, and sustained income growth for the striving majority is for the Fed to stabilize the dollar. The professor standard will not challenge itself—that much has been proved. That’s why my voice is needed at the Fed. Hmmmmmm. Mr Cain is certainly not a professor or even a doctor as far as I can tell. US politicians have tended to make appointment from a very, very narrow base (Harvard and MIT). This then is Trump’s great comparative advantage – he isn’t risk averse and is willing to roll the dice on appointments. He is also willing to buck conventions that he doesn’t much value. This is also his great weak spot – some conventions are worth keeping and others are part of the swamp that needs draining. What he hasn’t done – as far as I’m aware – is have a long hard look at whether the US actually needs a Federal Reserve. All political theories assume…that most individuals are very ignorant. Those who plead for liberty differ…in that they include among the ignorant themselves as well as the wisest.